Make sure your furnace is up, running, and ready for this year’s snowy season. Make sure your air conditioner is ready for the heat! Aren’t sure what’s wrong with your HVAC system? Talk to Aire One. Warm up to a smooth-running furnace with our heating services. Get relief from sweltering heat with our air conditioning services. Ensure optimal air quality for the health and wellbeing of your household. Having your climate just right makes all the difference. That’s why many of us have furnaces, AC units, and air quality products. While these technologies are more advanced today than ever, they’re not faultless. You need a trusted professional to install, repair, maintain, and replace your HVAC systems. For over 25 years, Aire One Heating and Cooling has been offering HVAC services to Kitchener, Waterloo, Guelph, Cambridge, and the surrounding areas. Our team of 150 electronically dispatched technicians means we can provide rush emergency services 24/7. We also offer energy-efficient solutions and offer coupons and rebates. Need help with your indoor climate? Talk to us today. 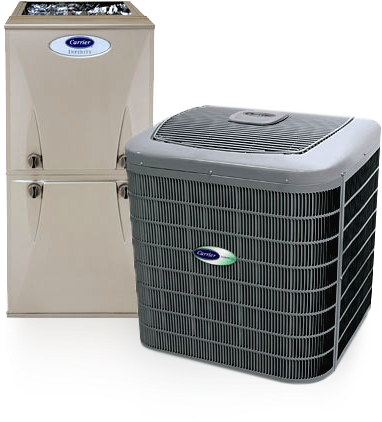 Our dedicated team at Aire One Heating and Cooling offers a comprehensive variety of services to fulfill your heating and cooling requirements. Reward yourself for investing in energy-efficient products. Get your HVAC systems fixed immediately. We have many promotions and special offers available, including $79 Diagnostic Service Calls. Download your coupon today, and call us if you have any questions. Additionally, sign up for our promotions newsletter through the form on this page to be in the know for new deals! Really good customer service. Very friendly. Very knowledgeable! Told us upfront what needed to be done and how much, really appreciated that. Really appreciate that the used a tarp to walk on, so our carpets wouldn’t get dirty. Thanks again!!!! All interactions with staff (Cyrus, Adam, Bill, Warren) were thoroughly professional and exceeded our expectations; we are more than satisfied with the resulting installation. We will definitely recommend Aire One going forward should the opportunity arise.